This Peanut Butter Chia Seeds Oats Breakfast is the best start to your day! Oats are a healthy start to any breakfast, or Sehri. 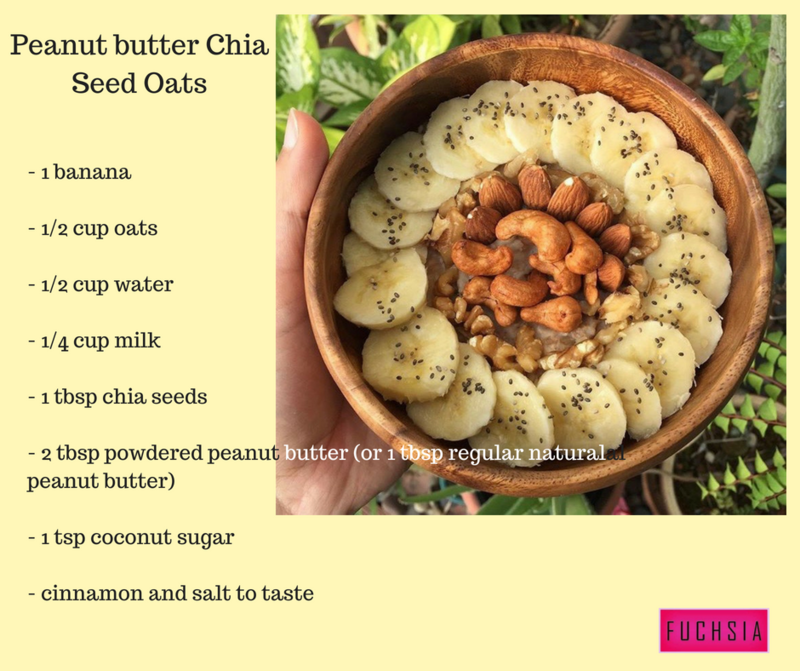 Add on the peanut butter and chia seeds to get a super start to your day! Want more healthy recipes from FUCHSIA? Then click here. Or get all our Ramazaan recipes contributed by our valued readers, on our Food and Health page.